Properly protecting your instruments while they’re stored away is very important! Regardless of the kind of instruments you have, you need to be mindful of temperature. All but the most fragile instruments can tolerate environments that occupy a consistent middle ground between extreme heat and extreme cold. If you need to storage a piano, wrap the instrument, bench pedals, and lid in high-quality heavy padding. This way, you will keep the piano safe from temperature fluctuations, which tend to affect wood instruments the most. You may also want use pallets to keep your gear — and especially pianos — off the floor. Concrete flooring, in particular, does not maintain a consistent temperature and you want to keep all your instruments in “steady state” temperature conditions. If you want to store guitars, violins or cellos, you’ll need to release tension on the strings. Failure to do so may cause strings to break and/or the necks of instruments to warp. Pianos, on the other hand, need no detuning because the cast-iron harp inside the piano body is designed to withstand extreme pressure. Instruments do best when stored in the hard cases they came in. You would also be wise to put the cases themselves on pallets in the center of the storage unit, away from any possible drafty doors and/or vents. Also, remember to put amplifiers in road cases, where they’ll be protected from dust and dirt. Get all valuable pieces — including family heirlooms and one-of-a-kind instruments — insured. No matter how conscientious you are, accidents can and do happen. So taking this extra precaution can help you protect your investment. 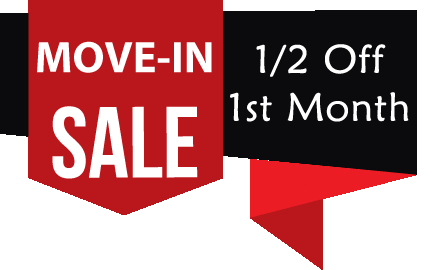 Lone Star Self-Storage offers storage units in six different sizes, from 5 x 5 to 10 x 30 as well as no-hassle, month-to-month contracts. We also provide excellent security, including key-code access, perimeter fencing, reinforced units, and suggest you to purchase high-quality locks to put on your unit. 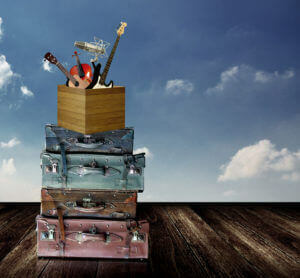 When you want a safe, affordable storage alternative for the music gear you love, think Lone Star Self-Storage!